What’s in a hashtag? 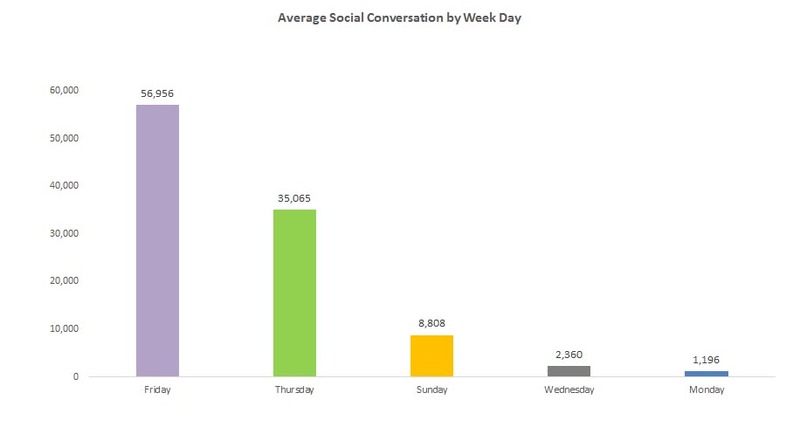 Other than paid activity, hashtags are the most important tool in amplifying a campaign on Twitter and Instagram. An engaging, appropriate hashtag can make or break a campaign. Brands should choose 1-2 that consumers can utilise to join the conversation. The Tesco Christmas campaign, which did not define a hashtag, generated low levels of social conversation with just 1,196 related mentions. Conversely, Aldi highlighted how important it is to use an accessible hashtag that appeals to a large audience, not all of whom are Aldi shoppers: #Aldifavouritethings triggered the lowest volume of conversation (1,619 mentions) in comparison to the other retailers, all of which did not include their name in their hashtag. Conveying personality is important on social and Lidl demonstrated this by frequently interacting with users on Twitter. Lidl replied to consumers 778 times in connection with its Christmas advert. The brand reacted to #SchoolofChristmas User Generated Content in a fun, light-hearted tone of voice. Marks and Spencer highlighted its #ArtofChristmas campaign in just two tweets, one of the lowest volumes across the supermarket campaigns. It focused on customer service related interactions, replying to just one query about the clothing used in the ad. Overall, the M & S campaign reached 1.45 million internet users, just a fraction (8.3%) of the 17.4 million people exposed to Lidl content. John Lewis replied to a tweet from lead singer of McFly, Tom Fletcher (1.4 m followers) who tweeted praising the campaign and linking to the Youtube video, subsequently driving traffic to the ad. English fashion and beauty vlogger, Zoe Suggs aka Zoella (3.89m followers) amplified the reach of the campaign by embedding the original tweet from John Lewis within her tweet. JL responded to Tom and Zoella with a personalised video thanking each of the influencers for their comments. 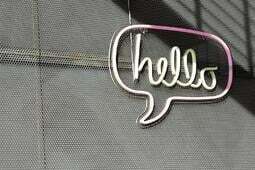 It is key for brands to interact with influencers in order to improve their social visibility. How is success defined? Success is defined by the number of conversations had around the campaign but also by the emotional impact the campaign causes. John Lewis’ powerful #ManOnTheMoon campaign gained the most traction, reaching 91.5 million internet users in its first week. The campaign uses one hashtag and translates a clear message, successfully raising awareness of elderly people being lonely at Christmas. 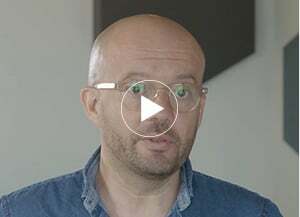 The campaign provoked an emotive response from internet users across the globe. The new John Lewis advert had me like ????? After John Lewis, Lidl achieved the greatest reach (17,361,826 people) and fashioned the most impressions (215 million) by using a 'RT to win' call to action. Similarly, 39% of Aldi conversation featured the word 'win' and their most retweeted post surrounded the competition promoting the campaign, not the campaign itself. Whilst both of the Aldi and Lidl social media competitions triggered good user generated content, and high volumes of conversation, competitions are not the best qualitative driver of engagement. 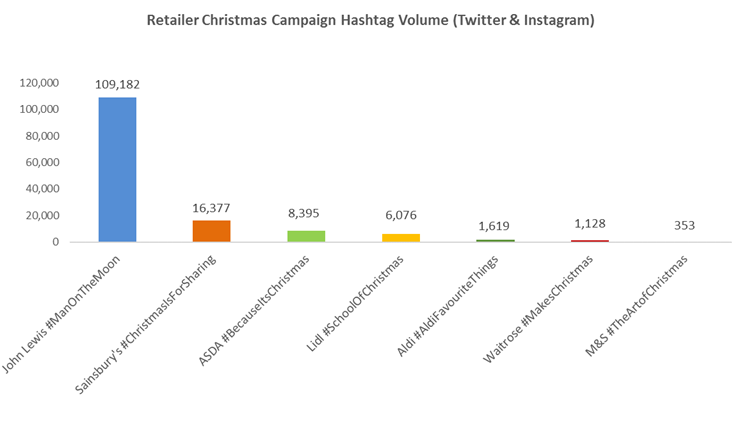 Asda’s #becauseitschristmas was the third most used hashtag (8,395 mentions). This appropriated an existing popular concept used to highlight excitement around the occasion, making it particularly effective, but not necessarily relevant. This also led to other brands hijacking the hashtag and diluting campaign discussion. 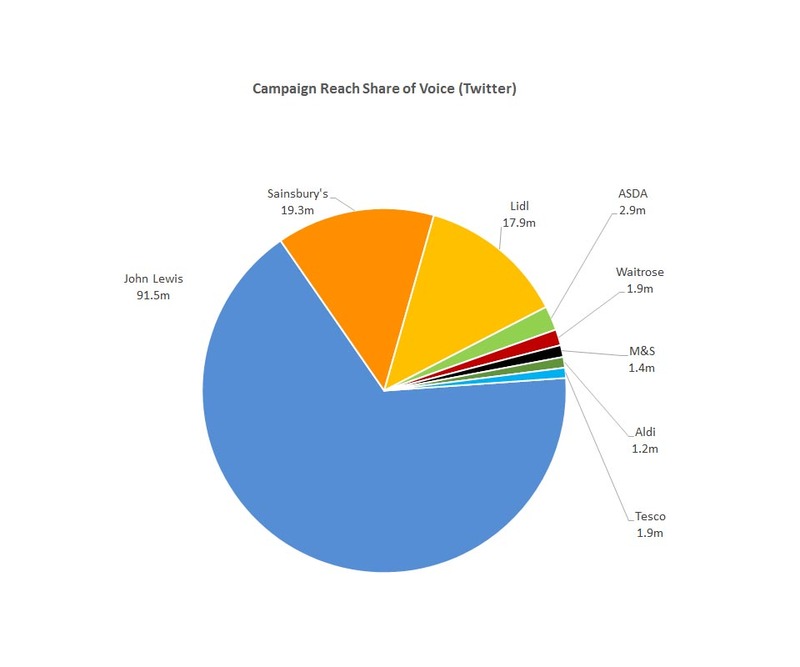 The top three best performing campaigns, in terms of generating the highest volume of posts, are John Lewis, Sainsbury’s and Asda. Each of these campaigns were released during the latter half of the week (Thurs-Sun) - nobody likes Mondays! Pet food brand Friskies, claimed in 2013 that 15% of all internet traffic is cat related. One quarter (8,800) of Sainsbury's social discussion featured the #MogTheCat hashtag or the word 'cat' and just 1% of these mentions were categorised as negative sentiment. Interestingly, this hashtag wasn't pushed by the supermarket but was a result of people's love for the character, reinforcing how much people engage with animals. 42% of these cat posts included photos, many of which were of the Mog soft toys or books that customers came across while shopping, a great organic driver of conversation. 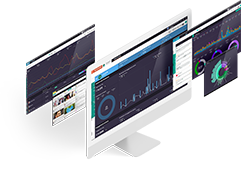 Insights provided by Radarly outline the important elements in creating a Christmas campaign that will trigger the social buzz every brand desires. 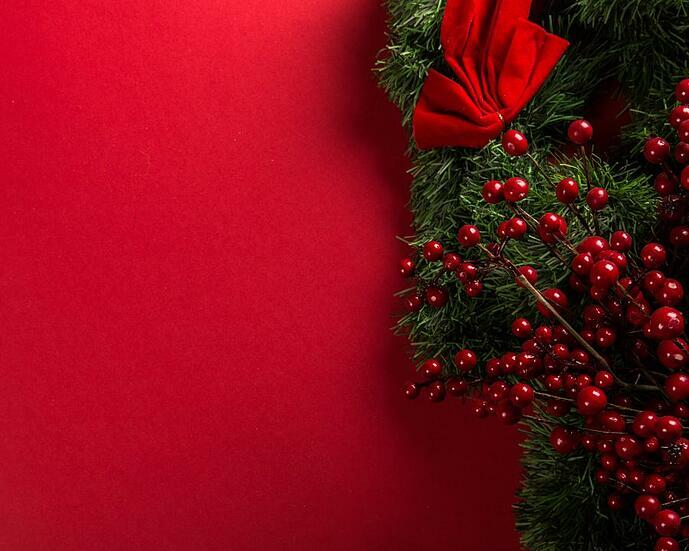 2015 has been a fantastic year for retailer Christmas campaigns – since the beginning of November, Aldi, Asda, John Lewis, Lidl, M&S, Tesco, Sainsbury’s and Waitrose have reached a combined 157 million twitter users through their Christmas campaigns. 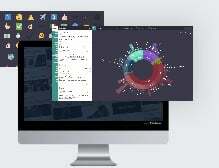 If you would like to know more about Radarly and Linkfluence, please ask for a demo here.